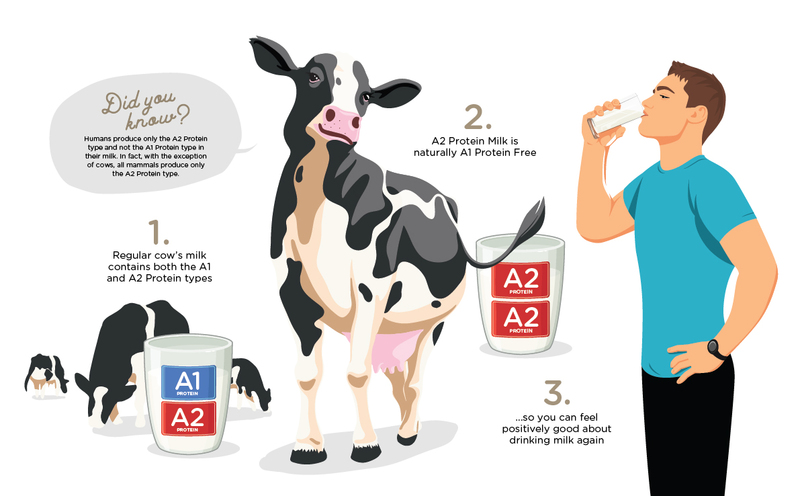 What is A2 Protein Dairy Milk and why drink it? 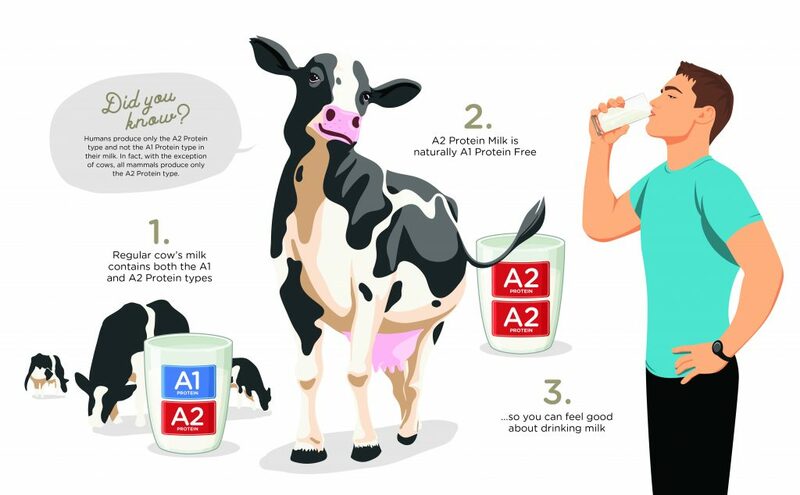 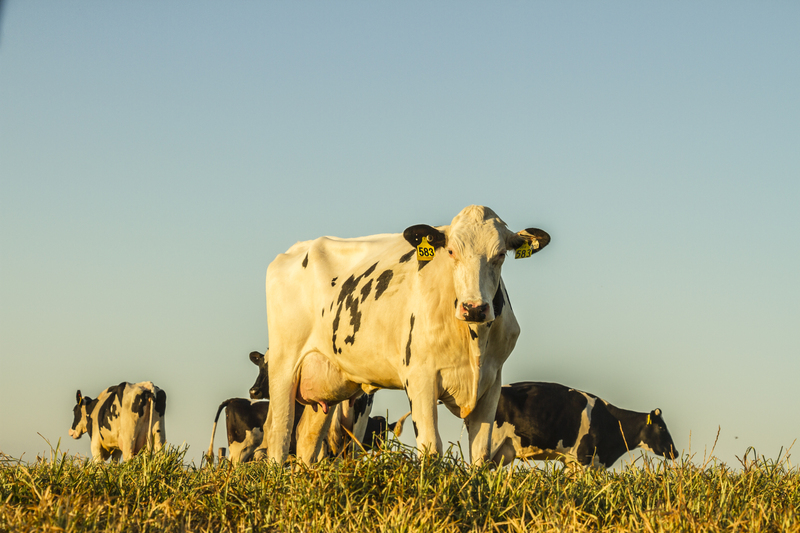 All regular cow’s milk contains both the A1 and A2 Protein types, which make up around 30% of the total proteins in cow’s milk. 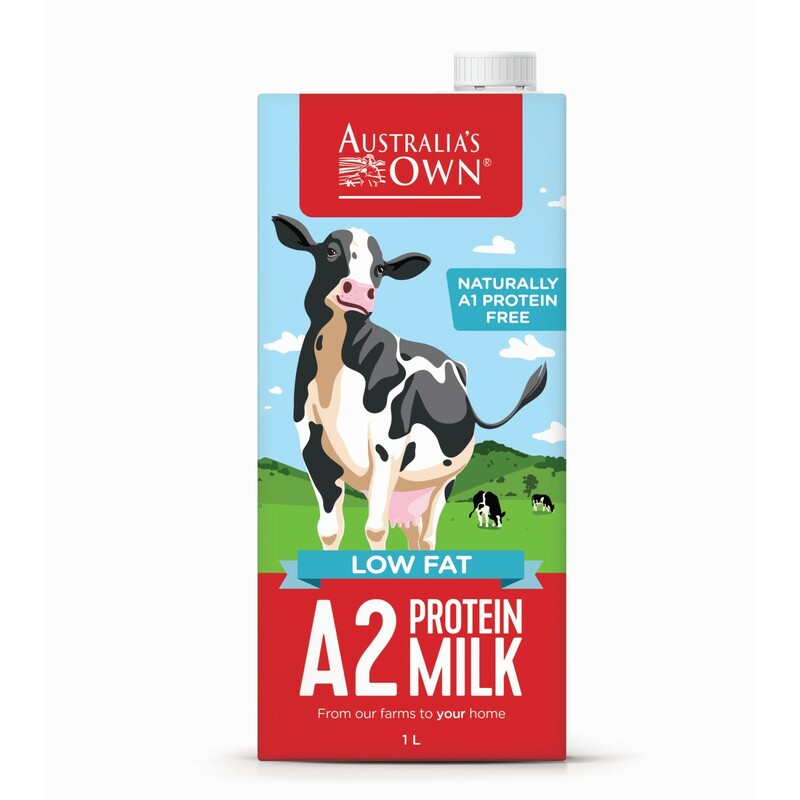 However, some dairy milk, like A2 Protein Milk, is naturally free of the A1 Protein type and instead, contains only the A2 Protein.